YES! Price Drop Just In Time!! LEGO Friends Adventure Camp Rafting is just $19.99 (was $29.99) on Amazon. 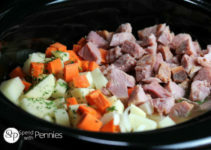 Easy Ham and Potato Soup In The Crockpot Recipe!